MME SESSIONS: Film Director Bill Duke Shares Powerful Moment When He Realized Great Acting Equals Great Pain from MME_Online on Vimeo. Bill Duke, legendary actor – of Car Wash, American Gigolo, Predator, A Rage In Harlem, and X-Men: The Last Stand fame – shares how he became the revered film director behind successful films Sister Act 2: Back in the Habit, Cover, Dark Girls and his highly-anticipated Nat Turner: Story of a Prophet. This is one artist’s serendipitous journey, where he tells our audience how he parlayed his talents as an actor into an evocative and groundbreaking film director. Find out the three things every great film director needs to know and how real pain serves an actor in hitting the emotional trigger and profoundly moving an audience. And don’t miss the powerful moment when Bill Duke shows you how to push the boundaries of raw emotion and artistic ambition to their absolute limits. 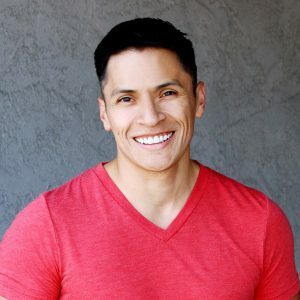 Nick Ramos (CEO / Co-Founder, MoreMentum Entertainment) How did you get your start and how did you go about choosing roles that helped you avoid being typecast? Bill Duke: Being a large, black man… (laughter) in Hollywood, uhh, you are put in a certain box, and it’s difficult with agents because the agents get 10% of what you make, and if you start talking about boxes, you’re not very popular with the agency because you’re not a business man. You gotta live with yourself also. It’s really balancing the income that you get from jobs with the self-regard you have for yourself in terms of–because whatever you put on screen, as he can tell you [motions to Raz Adoti in audience] is there forever, it’s past your life. Whenever I die, that film is still out there representing me. And so I have a daughter, so I want to be able to have some sense of pride in letting her see that movie. Kukhautusha Croom (Co-Founder, MoreMentum Entertainment) Now, some of you may know Carwash was built as a comedy and starred Richard Pryor, Franklin Ajaye, George Carlin and other comedic talents of that caliber, but your character Abdullah added an entire dramatic element that I personally believe elevated the film to the iconic status that it is now. We’re you directed to play Abdullah in that way or was that your interpretation of that role? Bill Duke: It was directed by the great Michael Schultz, and he and I were best friends at that time. We knew each other through theater in New York and this is who he believed the character to be and allowed me to create my experience from the character. In those days, as you know, as a young black man who’s not only angry, but totally frustrated with a lack of change and opportunities, and I face that. Kukhautusha: How did acting actually help you transition into the director’s chair? Bill Duke: You know, I started off as a stage director, and I wanted to direct but I was intimated by all the equipment, you know, the cameras, and the lights, and the sound, and all these people. Uh, I was on a show called um, Palmerstown USA – Norman Lear, Alex Haley co-executive produced it. It was on for two seasons and after that, um, I did not work for three years. I said, I gotta have a second career. And I gotta re-think this directing thing. So, a friend of mine said apply for the American Film Institute, and I did apply and I got in. I wanna tell you about my first job though. I created the short film called The Hero. It won several awards, then I tried to shop it around Hollywood, get a feature film job or TV job. Everybody said, no, no, you’re new, a newbie. And my agent calls me and says, “Hey, Bill… you gotta get back to LA right away because David Jacobs over at Knots Landing wants to talk to you about possibly directing a Knots Landing. Got myself together for the Monday meeting, go to David Jacob’s office. On that Wednesday, my agent called and said, “You got the job.” I called everybody I knew, it was like the happiest day of my life. I started working in pre-production, last day of pre-production Joe Wallenstein, the producer, comes in and says, “Bill, you did a great job in pre man, you start shooting tomorrow and, you know, I could tell you’re going to be a good director by your reel.” I said, “What reel?” David Jacobs had mixed my box up with somebody else’s. That’s how I got my first job. (laughter) After that–it’s a true story! Nick Ramos (CEO, Co-Founder, MoreMentum Entertainment) You got a crash course in directing, tell us what that was like those first three days? Bill Duke: You can be as creative as you want, but to get hired again, you gotta be a great manager. Know three things: Time, People and Money. You can be a have a great as vision as you want, you don’t come in on budget and on time, you’re not working anymore cuz you’re costing the studio and network money! It’s a business. And so I learned very quickly, you know, I had 7 days to prep, 7 days to shoot …if the crew does not see that you’re managing things, they’re depending on. And if they can’t depend on you, why you there? Just to talk about how good you are? So a lot of people observing you and you’re responsible to them. If you can’t be a manager – as a director – you don’t work. And it’s the business of the industry. A lot of people have great ideas and passion about their concepts, but they know nothing about the industry and that’s why most directors don’t get in. They present an idea to a network or studio, they’re passionate about it, and this is gonna like it– the only thing the network or studio wants probably in the first 45 seconds is this question, answer this question: How are you going to make me my damn money back? Nick Ramos (CEO, Co-Founder, MoreMentum Entertainment) Of all the directors that you have worked with, and there have been many, what is some of the advice that has helped shape your career and still inspires you today? Bill Duke: I wish more people knew about what great directors did because they really don’t. They just think they say, “action, cut” and they cut the movie. 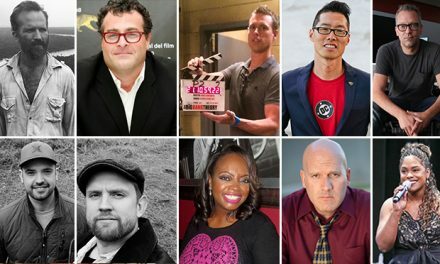 A great director can help mold you in the direction you have to go. You’re asked to be somebody and you have to give up yourself to be that person. It’s not always a painless journey. It lingers, ya know. In the close up, I can see the lie. I’m talking about right here [makes hand gesture, resembling framing]. My baby died, and was killed this morning. [makes hand gesture, resembling framing]Really?? Lemme see how you feel about that baby. Has an emotional impact on you or the audience! The truth, she may not even cry…maybe she’s so crushed that she can’t even look, she can’t speak, she can’t move. Whatever her truth of when her baby died, that’s what she surrenders to and it’s … it’s not painless.